The University of La Verne has received a gift of $10 million from Board of Trustees Member Anthony LaFetra to establish the LaFetra College of Education, institution leaders announced May 27. It is the largest cash donation in the university's 124-year history. The University of La Verne has received an unprecedented gift of $10 million from Anthony “Tony” LaFetra. The gift was announced this week by University President Devorah Lieberman and Board of Trustees Chairman Luis Faura. The donation is the largest cash gift in the University’s 124-year history. This gift is most timely as it comes on the brink of the University’s 125th Anniversary year celebrations. The gift establishes the LaFetra College of Education, adding the University of La Verne to a very small list of named colleges of education, and one of the few at a federally designated Hispanic Serving Institution (HSI). The University has a population of Latino students that exceeds 40 percent, and the demographics of the institution’s undergraduate, master, law and doctoral students reflect the diversity of Southern California. Anthony LaFetra is a member of the university’s Board of Trustees, and President and CEO of his family-founded business, The Rain Bird Corporation. The family has multigenerational ties to the University of La Verne, where his mother served on the Board of Trustees from 1966 to 1982, and his sister, Sarah Ludwick, is an alumna. The University’s College of Education (currently known as the College of Education and Organizational Leadership) already holds the distinction of having awarded approximately 30 percent of California’s superintendents with doctorates. More than 280 school districts across Inland Southern California are partnered with the College, enabling teaching candidates to have direct experience in the classroom and secure employment when they graduate. In the area of education, the university grants bachelor’s degrees in child development and educational studies; teaching credentials; master’s degrees in areas such as child development, special education, and educational counseling; and doctoral degrees in organizational leadership. Professor of Education Emerita Dr. Peggy Redman, whose family is deeply connected to the city and University of La Verne, said the LaFetras were first drawn to the university after seeing firsthand the results of its teacher education programs. The gift will provide the university one more way to transform students into citizens who will improve their communities, Redman said. A counseling and bilingual education initiative focused on children and families of migrant workers. Luis Faura ’89, Chair of the Board of Trustees, commended Mr. LaFetra family for his dedication to the University of La Verne and the future of teacher education. 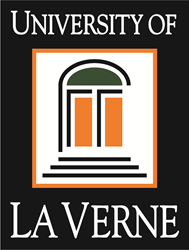 Founded in 1891 as a Brethren institution located 35 miles east of Los Angeles, the University of La Verne is a private, nonprofit institution founded on four core values: lifelong learning, ethical reasoning, civic and community engagement, and diversity and inclusivity. While the University is no longer a religious institution, these values remain an integral part of each student’s university experience. The University of La Verne serves nearly 8,400 students, across 10 campuses, awarding undergraduate, graduate, doctoral, and law degrees. Students attending the University of La Verne represent the changing demographics of the State of California and the future demographics of the entire country. More than 40% of the University’s students are the first in their families to attend college. Additionally, 55% of students are from underrepresented populations (43.7% Hispanic, 5.8% African-American, 5.2% Asian, .4% American Indian/Alaskan Native). Nearly all (93.7%) University of La Verne undergraduate students receive institutional financial aid, $43.2 million of which the University of La Verne provides.